FRED PLOTKIN is one of America’s foremost experts on opera and has distinguished himself in many fields as a writer, speaker, consultant and as a compelling teacher. He is an expert on everything Italian, the person other so-called Italy experts turn to for definitive information. Fred discovered the concept of "The Renaissance Man" as a small child and has devoted himself to pursuing that ideal as the central role of his life. In a “Public Lives” profile in The New York Times on August 30, 2002, Plotkin was described as "one of those New York word-of-mouth legends, known by the cognoscenti for his renaissance mastery of two seemingly separate disciplines: music and the food of Italy." In the same publication, on May 11, 2006, it was written that "Fred is a New Yorker, but has the soul of an Italian." He graduated with honors from the University of Wisconsin-Madison, where he had a double major in Italian Renaissance history and theater and opera production (as a student of Gilbert Helmsley). Fred studied at the DAMS conservatory (Italy’s Juilliard) of the University of Bologna and later, as a Fulbright Scholar, at the University of Pavia, which included work at La Scala. Fred has worked in opera since 1972, doing everything but singing. This includes management, production, design, coaching, consulting and broadcasting. He directed opera at La Scala and later was the performance manager of the Metropolitan Opera for five years. He has worked for some of the great opera companies of the world and collaborated with many top stars. He was a site inspector for the National Endowment for the Arts, bringing his managerial expertise to more than 20 US opera companies. His book, Opera 101: A Complete Guide to Learning and Loving Opera is the best-selling standard text in America on the art form. Classical Music 101: A Complete Guide to Learning and Loving Classical Music is well-respected in the USA and has had important editions in the UK and China. Fred has written program notes and articles for the Metropolitan, Chicago Lyric, Los Angeles and Cincinnati opera companies, Carnegie Hall, The Atlantic, Playbill, Stagebill, Opera News, Das Opernglas, The New York Times, Los Angeles Times, The Guardian, and Daily Telegraph. He has a Master’s degree in journalism from Columbia University, where he specialized in broadcasting and arts reporting. He has appeared on many radio programs on RAI, Radio France, BBC, Radio Canada, and NPR. Fred was featured prominently on WNYC’s award-winning “The Ring and I” (a program he named) about those special people who often see every aspect of life filtered through the music and stories of Wagner’s great tetralogy. Fred has written six renowned books on Italian cuisine (including the classics Recipes from Paradise: Life and Food on the Italian Riviera; The Authentic Pasta Book; La Terra Fortunata: The Splendid Food and Wine of Friuli-Venezia Giulia). The fifth edition of his Italy for the Gourmet Traveler was published in June 2010 by Kyle Books. It is the most complete book for visitors to Italy who are interested in that country’s peerless food and wine heritage. He has written and been interviewed about wine and gastronomy in The New York Times, Los Angeles Times, Bon Appétit, Food & Wine, Gastronomica, Gourmet, Wine Enthusiast, and other leading publications. 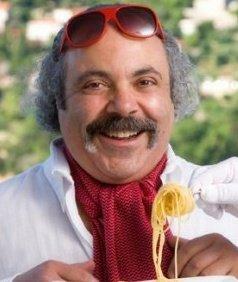 He has been a finalist for the Julia Child, James Beard and IACP cookbook awards and is a judge for the Beard awards. Fred Plotkin lives in airplanes, opera houses, Manhattan, and cyberspace (www.fredplotkin.com). No matter where you are this spring and summer, here are the operas to see across the country. Should these productions be cancelled before they go into rehearsal? An appreciation of soprano Antonietta Stella in honor of her 90th birthday. How Green Is My Ring Cycle? It's Ring Fever in New York with the Met Opera's revival of Wagner's Ring Cycle starting next week! The Metropolitan Opera has just announced the repertory and casting for its 2019–20 season, and Fred Plotkin is looking forward to next year with great enthusiasm. An appreciation of Andrés Rodríguez, who ran Chile’s Teatro Municipal de Santiago for 34 years. Are Opera Critics Above Reproach? What is the role of a critic today? WQXR's Fred Plotkin on how the joys of opera are in the details. WQXR's Fred Plotkin on the history of the classic Christmas song. Fred Plotkin honors and acknowledges many of the outstanding and memorable achievements in opera in 2018. Is There A Mozart Gene? WQXR's Fred Plotkin on why some people don't enjoy Mozart. WQXR's Fred Plotkin on the joys of Rossini, 150 years after the composer's death. Here are the best gifts for the opera lover in your life. There is more to Parma than Verdi, a city rich in musical history. Opera Never on a Sunday? Not at the Met! Columnist Fred Plotkin muses on the implications of the Metropolitan opera introducing Sunday matinees into its schedule. WQXR's Fred Plotkin on opera's rising stars to watch. A celebration of the legendary Aretha Franklin. The upcoming fall season is full of opera and vocal performances—here's what to see. What were the late Justice Antonin Scalia's thoughts on opera?